If you are searching for something special than look no further. 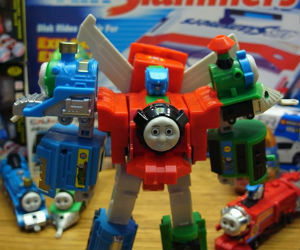 Thomas transformer robots are just the thing. 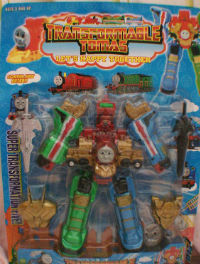 There are three of different super robot transformable trains to collect and there names are somewhat strange. The packaging indicates these are made in China but its uncertain from the label who makes them. 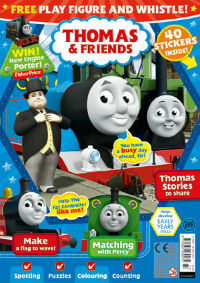 In any case they are very unusual and when Charles and Adam saw them, they had to do a double take. 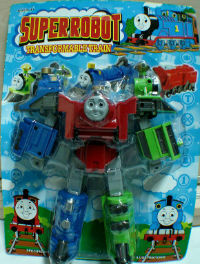 Who would of thought of combining a transformer robot with Thomas and Friends. 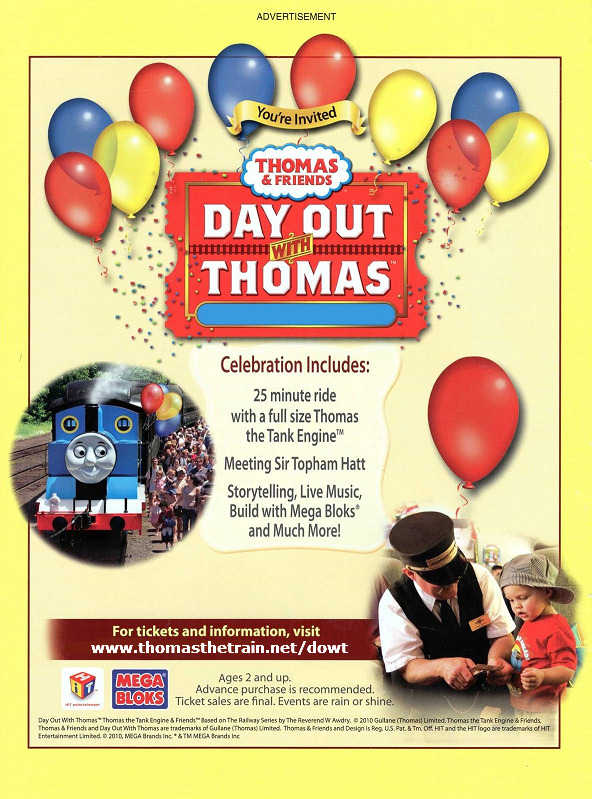 These collector items do not require batteries. 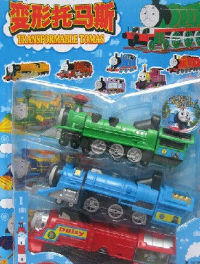 Its funny the packaging says Transformable Thomas, Super Robot and Collect Them All!. So if you would like to give a very special present to someone for a birthday or major holiday, consider one of these robots as they are certainly unique and one of kind, besides everyone will comment on them.